Ralph Lean is moderating. 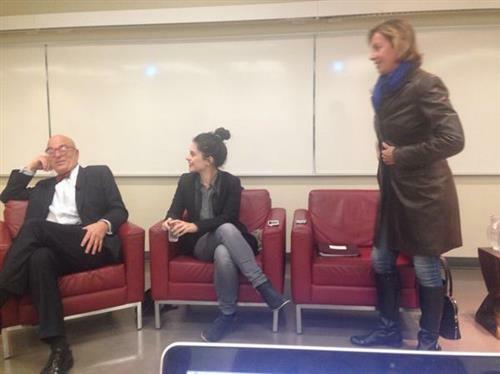 He moderated the mayoral debate at Ryerson back in March when Stintz was still in the race. He posed tough Q's to all candidates back then (Socknacki, Tory, Ford (Rob) and Stintz). Chow chose not to come back in March. He asked Stintz why she turned her back on Ford's subway plan so soon after accepting the TTC Chair position. "Karen would have made a great mayor. She ran a terrific idea based campaign" Lean says. Lean listing some of Stintz's political accomplishments. Saying what he agrees with. He is unapologetically biased. Lean calls LeDrew a "superstar broadcaster." Lean is introducing Stephen LeDrew and admits they are long time friends. Calls him a "superstar broadcaster"
Lean has questions ready from his students. The speakers haven't read them yet. Lean says he has a couple rules. Calls it the "Stephen Ledrew rule." Essentially means don't talk over each other. First Q: Where is the line for journalists crossing over into personal and private territory of politicians? Doolittle: I think it's stupid not to answer any questions. It's tricky waters. Doolittle: It's tricky. Politician has right to say they aren't going to grant interviews to specific journalists if they want. Doolittle says if she was a politician she'd speak to everyone. LeDrew: Ford saying media is getting it all wrong, but he loves the media. Every morning he goes out and does a rant on Tory. LeDrew: Its not fair for him to say he doesn't like the press when he's calling them every morning. LeDrew: If you read a story and you cringe, then the journalist has gone over the line. LeDrew: When you read a story, if you cringe, then they've gone over the line. People have a good sense of judgement. Stintz: I've been upset. You don't get to choose what gets written about you. Thats your life as a politician. Stintz: Media has hard job. I don't always get favourable coverage but I can make their job easier. Stintz: The media have a hard job. As a politician, I can choose what if I can make the job harder. Whole Ford drug phenomenon fascinating. 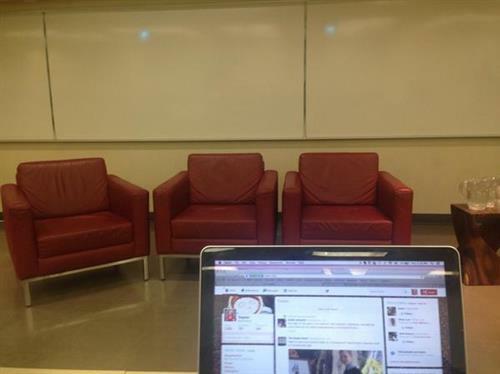 Stintz: The media has never invaded my privacy. But I haven't made my personal life so public that they've been forced to ask me about it. 2nd Q: Your success is due to rumours of Mayor's life. From an ethical pt of view, what are the lines in reporting on Ford's life? Q: It was kind of unclear but it was posed to Robyn about destroying Rob's life. Doolittle: I didn't destroy Rob's life. He destroyed his own. Doolittle: I haven't written about Ford since his cancer diagnosis. But thats not to say I wouldn't. Doolittle: Journalists in this country are very weary of going into people's personal lives. Ford's personal life fell into his public life. Doolittle: You had to go into Rob's personal life to explain his political one. Its always in the public's interest. LeDrew: It was in the public's interest for people to know that Ford was dealing with criminals. LeDrew: He had a lot of power. What he was doing with it could have been influenced by his drug use. LeDrew: in Ford's case it was in the public interest to know that Ford was dealing with criminals. Doolittle and LeDrew are saying mayor has no power now. And the media attention has shifted to his brother. Q3: Voter turnout is still an issue. As democrats yourself is voting just a civil right rather than a civic duty? Q: Is voter turnout a civic duty? Should it be mandatory? Voter turnout is low. Usually in thirties. Last one was just over 50%. (For municipal elections). LeDrew: There should be more civic classes to get people interest in politics. Classes like this. We don't do that in public schools. LeDrew doesn't think mandatory voting should be legislated. Stintz: I don't think the govt should legislate us to vote.